The role of NGOs in the development of the country is increasingly being criticized in Haiti. NGOs are active in different fields, intervening both in humanitarian aid as well as in “development”. But increased poverty in a context of growing presence of NGOs and expanding withdrawal of the State causes many sectors to question the presence of NGOs, or instead how they can act in a way that their interventions will be successful. It is in this context that CLIO’s Agriculture and Environment Commission (Commission Agriculture/Environnement – CAEC) organized a debate about the role of NGOs in strengthening small farmers’ agriculture. The conference took place Friday March 16, 2018 at the premises of one of CLIO’s member organisations: CRESFED. The organisers of the debate made use of the proposals of a group of Haitian organisations pleading for an agricultural policy aiming at the reinforcement of small farmers’ agriculture. The time was ripe : The European Union launched an appeal for proposals of projects aimed at the improvement of food security and nutrition of the people in the North-West and Haut-Artibonite. 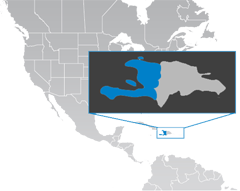 European and Haitian NGOs have been preparing proposals in response to this appeal. It was an appropriate moment to discuss the question of small farmer families’ agriculture with the NGOs because, despite its problems, the small farmer agricultural system is still responsible for more than 40$ of the food consumption in Haiti and is contributing to 25% of the country’s GDP. About thirty people were present, most of them NGO professionals and civil service staff working in the agrarian sector, as well as a number of farmers. Four of them have taken the floor during the meeting: Rosanie Moise of Véterimed presented the proposals of Haitian organisations in favour of small farmers’ agriculture and voices the wish that more actors, including the NGOs, work in line with that proposal. In Haiti, food sovereignty/security and good nutrition cannot be guaranteed without reinforcement of the peasant agriculture was the essence of her message. Chavannes Jean Baptiste of the Peasant Movement of Papaye (MPP) informed those present that there are currently in the world two agriculture systems opposed to one another, and that Haiti is not spared from this confrontation: small farmer agriculture which is being defended by his organisation and industrialized agriculture which is promoted by the large capitalist companies. “Small farmers’ agriculture is an agriculture of life which is based on a vision that considers the land as a nourishing mother of which we have to take care, which respects the health of the people, which is thinking of future generations, which favours the autonomy of the farmers and which is being implemented in a social environment of usability”, he explained. Characteristics, that you will not find within the industrial agriculture whose only objective is to make profit. Chavannes cited a number of challenges of the Haitian small farmers, but he also mentioned a number of possibilities that might help to meet these challenges. 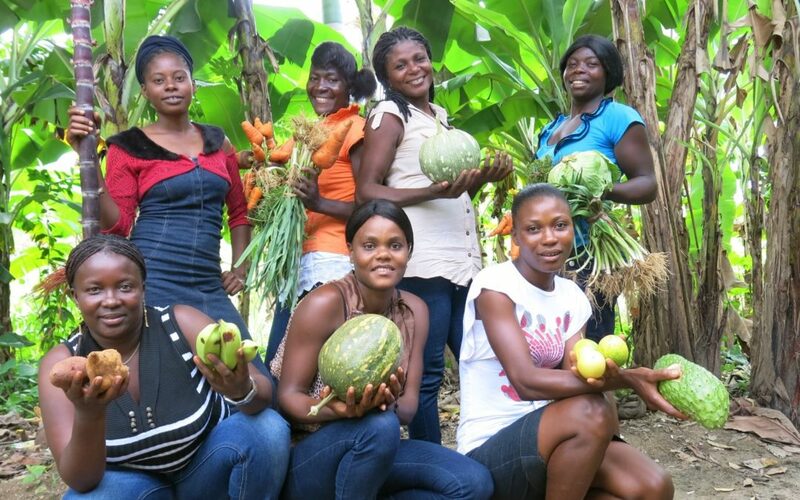 According to Chavannes, every organisation that calls itself “solidaire” with Haiti should place its activities within a dynamic of reinforcement of peasant family agriculture in order to confront these challenges and to benefit from the opportunities. Véna Jean of the small farmers’ organisation “Tet Kole ti Peyizan” spoke about a number of negative experiences with NGOs that her organisation had observed in different parts of the country. She gave the example of bean seeds, that had been distributed and that could not reproduce themselves, taking away the farmers’ autonomy in preparing seeds. “This is a kind of aid that is killing”, she said, “because by handing out these seeds to the farmers you condemn them to eternal dependence of imported seeds”. She also spoke of certain trees which had been used in reforestation programs and which were literally competing with the agrarian space of the small farmers. She took advantage of the moment to encourage NGOs that have the means to choose to give priority to listen to and accompany the small farmers instead of imposing ready-made solutions that will complicate their problems instead of helping them to solve these problems. The agrarian program that the Swiss NGO Helvetas is currently developing in the Grand Sud, for a 12-year period, together with GRAMIR and AVSF, seems to be moving in the direction the farmers are calling for. In fact, this program, that was presented at the conference by Mr Seth Pierre of Helvetas proposes to accompany peasant organisations in the southern part of Haiti strengthening these organisations in order that they can influence the decisions of both leaders and NGOs active in the agrarian sector. The idea is also to promote knowledge and innovations that can tackle the problems, as well as increased participation of women, valuing their contribution in the sector. The four presentations were followed by a lively debate during which the participants, in large part consisting of people who have a good knowledge of the Haitian rural environment, posed questions related to the proposals to tackle the landownership problems, such as the continuing fragmentation of agrarian land. Some spoke of the difficulties of collaboration of NGOs with the Haitian state whose interventions are not always favourable towards the small farmers. Others wanted to know what will be the position and action of the advocacy group for the reinforcement of peasant agriculture, in order to promote a large agro-ecological movement to save the lands which are disappearing into the sea. The quality and quantity of the questions showed that the conference and debate, that took place in a little over two hours, was highly appreciated.